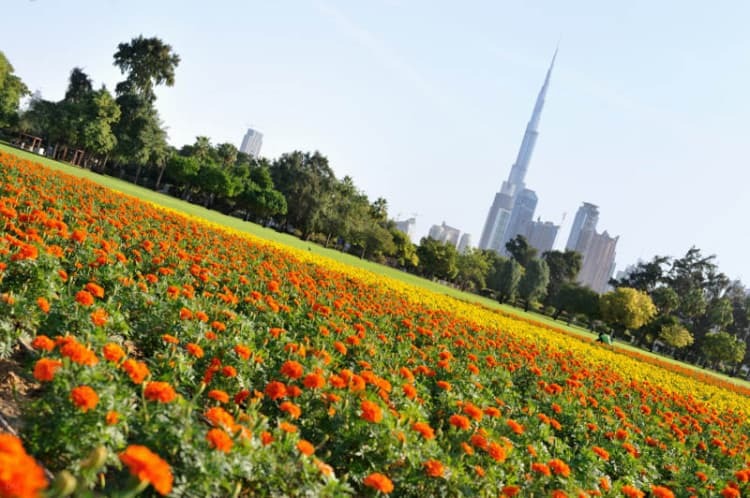 This large municipal park is one of the most popular public spaces in Dubai, offering a pleasant urban sanctuary for residents from all walks of life. The park is great for families and offers picnic and barbeque areas. Children will enjoy the boating lake, play areas, and bike rides. There’s also an amusement arcade and a small fairground with bumper cars and carousel. Sports facilities include a jogging track, tennis and basketball courts. The wide expanses of grass are frequently used for casual games of cricket and football. The Dubai Flea Market is one of the park’s most popular events, regularly attracting around 10,000 bargain hunters seeking second-hand furniture, appliances, kitchenware, toys, books, clothes, and other goods. It’s held on the first Saturday of each month between October and May (in the summer months it moves indoors to Al Safa Hall). Safa Park is situated in Al Wasl, just off the Sheikh Zayed Road, and close to Business Bay and Downtown Dubai. Entrances are located on all sides of the park. Business Bay Metro Station (Red Line) is just ½ mile from the park. The park is open every day of the week from 8 am until 11 am. Admission is just a few dirhams. Map showing location of Safa Park. Wheelchair arrangements at the entrance for the elderly will be a good idea. I was hoping you might be able to put me in touch with the management of Safa Park. I am trying to confirm the location of my late large-scale public works of art, one of which I believe is in the park. You have to go to parks management office just outside gate 1 of creek park. All parks are managed there and they’ll tell you all re permits and fees. Nice park for families to enjoy weekends.